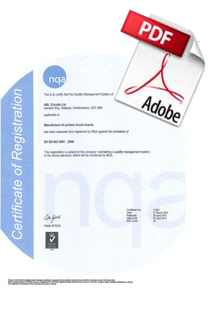 You will be aware that ISO 9001-2015 is the latest title for the quality system standards that are recognised and used both in the UK and Internationally. You’ll find that our accreditation means that we have been fully assessed to the new standard and are committed to providing you with the highest levels in manufacturing and production. Ensuring that you can be 100% confident in the service and the PCB products we provide to you. 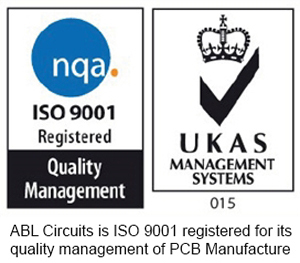 You can be sure that all internal processes are in place and the manufacturing of your printed circuit boards will meet the highest criteria set out by the National Quality Assurance. We aim to surpass these requirements in most cases. This ensures that we have complete traceability of both the materials used and the production of your printed circuit boards at each inspection stage. Offering you the benefits of total peace of mind that your order will be right, first time every time.